John Ashbery, who turns 90 next month, published Commotion of the Birds, his 28th volume of poetry, last October. Choosing the 10 “best” volumes from this vast and remarkable oeuvre would be a challenge. Choosing the 10 “best” poems seems well-nigh impossible. Recently, however, a student asked me: “Which John Ashbery poem would you read first?” Her question offered an approach to this assignment that I particularly liked. So I have decided to pick 10 Ashbery poems that I suggest reading early and often. I have not ordered the poems chronologically; instead, I’ve arranged them loosely following the arc of a day. 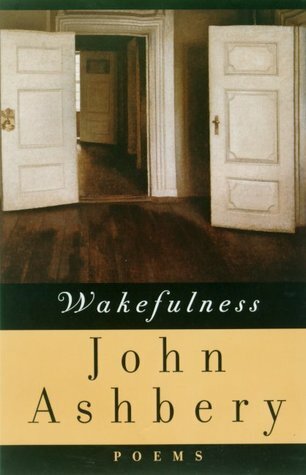 In writing the biography of Ashbery’s early life, I constantly returned to these poems for they remind me of how the poet is drawn to familiar moments when we sleep, dream, eat, think, feel bored, see movies, fear death, and fall in love. Taken together, these 10 poems create the experience of a life—from the mundane to the profound—a reading path that I hope will send you back to his poems for more. This poem begins at the end of a dream, in that moment when one is awake but still partially in the dream. As a young poet, Ashbery found this sensation conducive to writing and kept paper and a pen by his bed. (He wrote “The Painter” in this state.) As the speaker awakens, “[L]ittle by little the idea of the true way returned to me.” The statement sounds like a restoration of consciousness, but, in fact, the speaker is tunneling deeper into his dream-like mood because its sense of unreality sharpens his perception. In this altered state, he has a vision: “A gavotte of dust-motes / came to replace my seeing.” These musical, dancing dust specks are beautiful, and we can suddenly imagine this indoor sight to be as sublimely lovely and inspiring as Wordsworth’s golden daffodils. 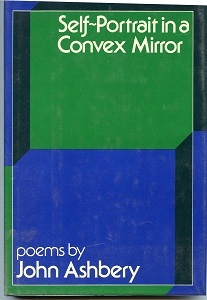 The poem is a cento, a form made up entirely of quotations. This one consists exclusively of movie titles that begin with “They,” a list both absurd and surprisingly coherent. Ashbery wrote the poem a decade ago during a period when he was indulging in Turner Classic Movies and busy making collages, something he had started doing for fun in college. These whimsical pieces look like visual poems; this cento is also a kind of poetic collage with so many different movie references stuck together. A movie buff from an early age (“The Lonedale Operator” recounts his very first movie-going experience as a kindergartner), Ashbery’s delight in film titles, character names, witty dialogue and even minor plot points has infiltrated his poetry since he was eight. 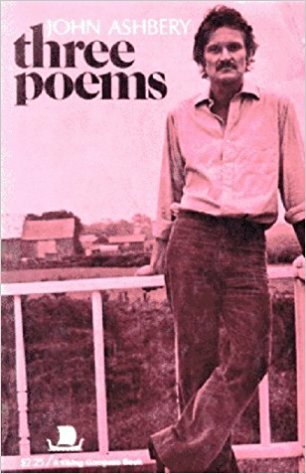 Poetry illuminates the shadowy world of the “interior life,” but its finest feature may be that it has no use at all: “this afternoon / Those delicious few words spread around like jam / Don’t matter.” Of Ashbery’s many ars poeticas (including “What is Poetry”), this one is my favorite. “Syringa” turns the story of Orpheus’s grief into a familiar and devastating tale. In the classic myth, Eurydice suddenly dies and Orpheus uses his exceptional lyric gifts to convince the gods to let him bring her back from the underworld, but when he looks back to make sure she’s still behind him—something the gods tell him he must not do—he loses her again forever. The tragic tale has inspired many artists since Ovid to retell it, but in Ashbery’s unsentimental version, Orpheus is just a guy who doesn’t get that his problem is insoluble, even with the help of art, gods or heroism. Ashbery writes: “Of course Eurydice vanished into the shade; / She would have even if he hadn’t turned around.” Eurydice is the past, and the past always disappears. How could Orpheus forget something so obvious? 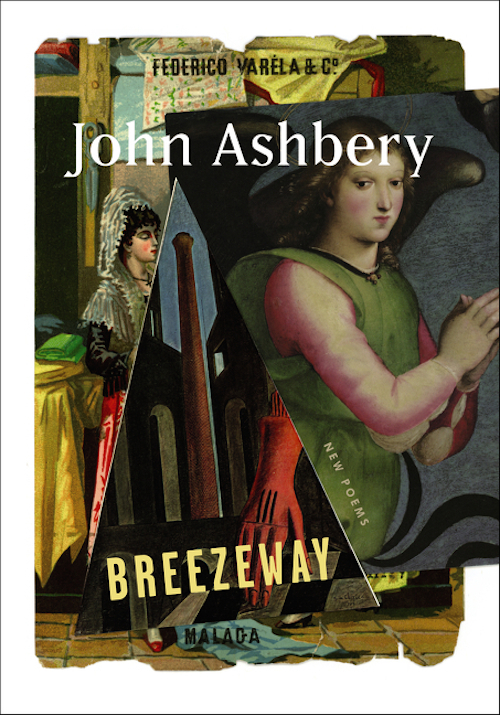 Ashbery’s reading reminds us of the pedestrian and brutal facts of time, which no one escapes. While perusing Ashbery’s class notes from college, I found a reference to the 15th-century painter, Francesco Parmigianino—the subject of this intimate and luminous poem written 30 years later—misspelled in the margin. Ashbery quickly forgot about this early encounter, and years later rediscovered the painter’s work as if for the first time. It seems fitting that a poem about the entangling of life and art—or, as Ashbery concisely puts it, “life englobed”—would have a misremembered origin. The poet examines Parmigianino’s process of creation and his own, recognizing that as an artist makes something new from life, he also loses something in the process: “Often he finds / He has omitted the thing he started out to say / In the first place.” The residue of these absent words still exists through art, however, and provides a catalyst for the artist and audience to rediscover life and self. The poem imagines a bridge—“a breezeway”—to the world beyond this one. It literalizes the idea of life after death and, in doing so, makes the extraordinary seem ordinary. Those in this world are full of thoughts of the next, but how does one get there? You walk, of course. But why would one ever want to leave this world? This life has comic book heroes and weather and amusing misunderstandings, but it is often also rather dull and meaningless. Batman is bored watching mere mortals try to get through their day. Yet even those moments of tedium can have a transcendent rhythm and spirit, which Batman, for all his godlike qualities, just can’t quite perceive. Written in 1948 when Ashbery was only 21 and a senior at Harvard College, this brief lyric has everything that his later, much longer, poems will advance. It is a love poem that never mentions love directly, but a feeling of being in love infuses the way the speaker sees, feels, and thinks about everything. It makes him feel both small and big, a tiny piece of a greater universe, but nonetheless connected to a world full of mystery and grandeur. A sense of the universe comes from gazing up at those huge trees from the ground while in love and remembering the immensity of that experience of feeling and thinking.